Another DVD starring episodes from the Sixteenth Series will go on sale in the United States in January. Muddy Matters is so far the second fully confirmed US disc to contain the season's stories with A Very Thomas Christmas becoming the first. Go Go Thomas! 's status however is in limbo. Instead of a group of four, Muddy Matters is to feature five tales with a selection of new and existing extras. The summary entails; Through mud, garbage and muck, Thomas and his engine friends show that being really Useful can be a dirty job! See James turn into the Really Muddy Engine, and Thomas get showered with garbage. Watch Peter Sam make a big mess trying to keep things on track, as Thomas creates chaos with the crows and much, much more. Muddy Matters from Lionsgate Entertainment hits US DVD shelves on January 15th 2013. 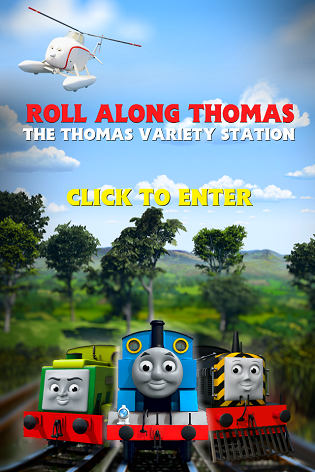 Do you ever post news on The TWR Community? That would be cool.